This limited edition S.O.A. fighting knife features a full-tang 7 in. 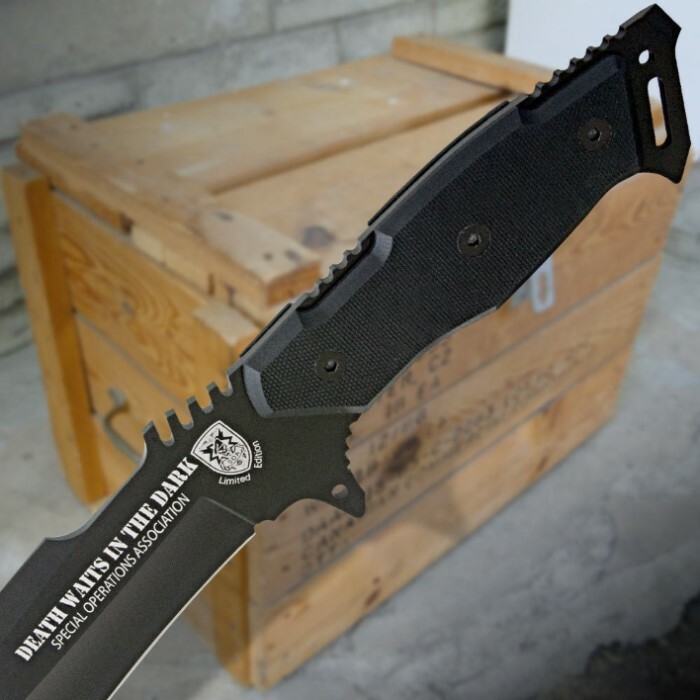 stainless steel blade with an anti-corrosion, baked-on black finish. A pry-bar and flat-head screwdriver are built into the pommel, and a rugged black G10 handle will keep this knife gripped firmly in your hand at all times. Includes black nylon sheath with belt loop and snap closure. 11 3/4 in. overall.